That’s how Howard Hanna agent Cyril Nalty describes his listing at 7465 Hunters Hollow Trail. 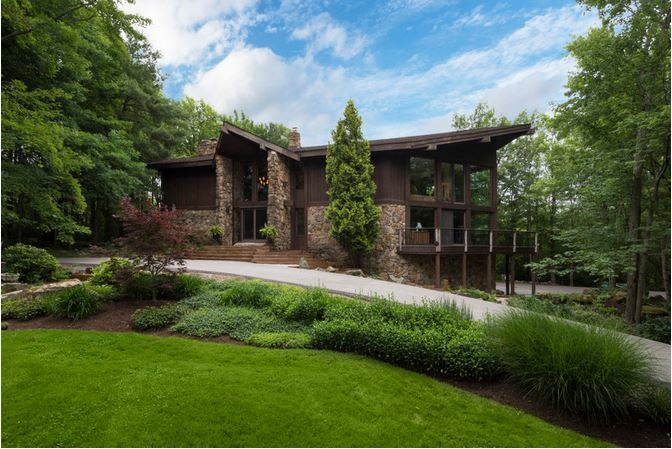 From its distinctly 1980s contemporary cedar, stone and wood exterior to its location nestled in a forest not far from picturesque Chagrin Falls, he couldn’t be more right. The home, currently owned the Cleveland Indians team doctor and his wife, was built in 1985 and has 4 bedrooms and 4 1/2 bathrooms in nearly 7,000 square feet. The realtor has the asking price at just under a million at $995,000.